Leave all the default settings to default and click Start! Now you’re all done! If you have found yourself in a scenario where you would like to use Hyper-V as a test environment for your virtual machines, but you are using VMware ESXi Server,Citrix XenServer or VirtualBox then this tutorial is for you. Microsoft Virtual Machine Converter 3.0 available here. Your OVA export unzipped into a folder. Download and install Microsoft Virtual Machine Converter 3.0. An OVA file is simply a tar archive file containing the OVF directory. First you rename the .ova file to a .tar extension. Now you can use WinRAR and extract the .vmdk files within to get the virtual machines disks. VMDK is an open format used by VMware and other vendors. I’ve noticed that when I’m running on some (high resolution) laptops I’m unable to see the whole console screen of a VM guest. Connecting those laptops to a docking resolves the problem. After some investigation I found the solution. Open the shortcut of the VMware Client and open the properties. Enable the disable display scaling option. Make sure you save the settings and try again. As you can see in the above example, the whole screen is displayed! The VMware OS Optimization Tool helps optimize Windows 7/8/2008/2012/10 systems for use with the VMware Hypervisor. The optimization tool includes customizable templates to enable or disable Windows system services and features, per VMware recommendations and best practices, across multiple systems. Since most Windows system services are enabled by default, the optimization tool can be used to easily disable unnecessary services and features to improve performance. I think this is a great tool what you can use to tune your VM’s. Use with caution! Hereby my review of Vembu BDR version 3.6. Vembu BDR Suite is an all-in-one universal solution for backing up your VMware and Hyper-V environments as well as physical servers. Vembu BDR Suite products cover backup & recovery of VMware vSphere, Microsoft Hyper-V, Physical Windows Servers Desktops/Laptops, File Servers, Applications like MS Exchange, Active Directory, SQL Server, SharePoint and Outlook etc. In this review, I shall take a look at it’s basic features and functionality. Advanced functionally and more in depth reviews are going to appear in future blog posts. Vembu ImageBackup helps you to migrate the Windows Servers and Workstation from your physical enviroment to VMware or Hyper-V environment. Installation is pretty straightforward. Just hit enter 3 times and notice the advice & option to change the default admin/admin credentials and 32004 en 6061 ports etc. (Vembu uses MySQL en MonogDB). After installation it’s time to add your (first) VMware server. This is done in a few clicks. Just make sure you use the appriopiate creds and correct port. After creating your backup your first backup is automatically made. You can monitor the backup progress, go to backup and List jobs. The green triangle indicates that the backup is in progress right now. Dashboard is your quick info place, your overview and the place to start. Backup gives you the option to backup and configure backup jobs. Recovery.., now that we have made one of more backup we want to test them! One of the most interesting features is instant recovery/restore. If your server is down by for example ransom ware you need to be up and running as fast as possible. Vembu uses their Virtual Drive. Their latest backup is easily mounted and you can access all of the files. I’ve tested all of the above restore options and found that they worked fast and flawlessly. Reporting options are clear and simple. Everything you need. Reports can easily be scheduled to be emailed to one or more email addresses. Vembu offers free tooling for their backup solution. One of them is Vembu universal explorer. 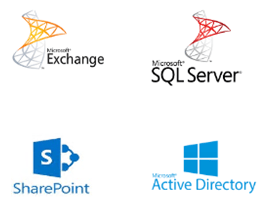 This single recovery tool allows administrators to recover different Microsoft application backups like Exchange, SQL, Sharepoint and Active Directory. 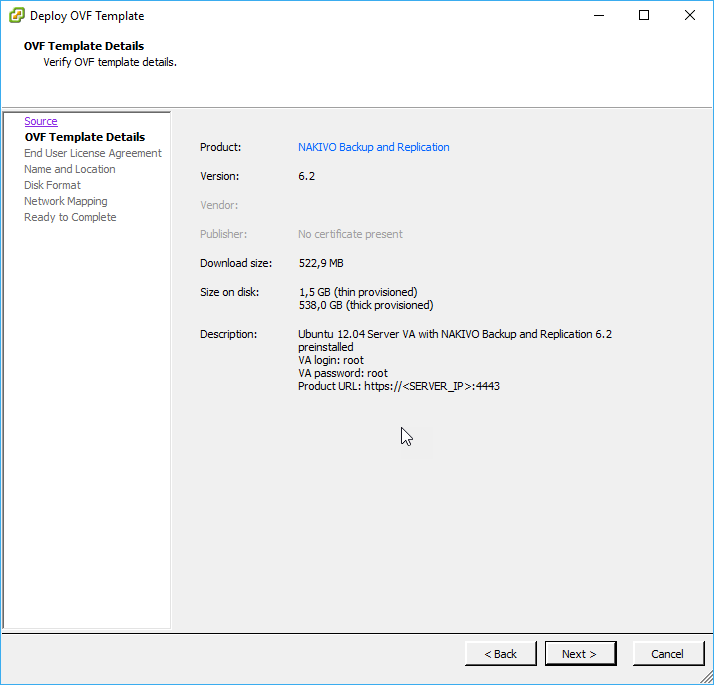 In this review, I found Vembu BDR 3.6 to be a full featured tool set for effectively backing up both VMware, Hyper-V environments and physical servers. The interface is extremely simple and easy to use with everything placed where you would expect it to be. Although Vembu offers more products, their backup solution offers everything you need against failures, ransomware or even complete site loss. Vembu vould be your answer for small companies and large companies seeking for a complete backup solution. I found no issues with installing the product, backups and restores from either a VMware or Hyper-V environment, or performance with any of the operations that were performed. The GUI is nice and straightforward. A minor issue is the performance of the interface. Sometimes you have to wait a few seconds for it to respond. A drawback of using a webserver. The online portal for all your licenses and downloads is looking good also. 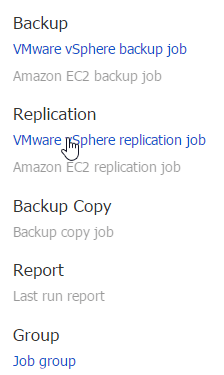 It’s even possible to view the status of the VM’s being backup ed using BDRSuite also. Check out the banner on vWorld.nl for the appropriate link. I contacted support for a couple of questions and I received information pretty quick and found it to be helpful. Veeam® is happy to provide a free NFR license (1 year, 2 sockets) to all VMware vExperts, MVPs, VTEC members, Certified Engineers and Trainers*. This license allows for non-production use of Veeam Availabilty Suite™ 9,5 in your home lab, without any feature limitations. The license works for both VMware and Hyper-V environments. Veeam Availability Suite 9.5 is a combination of Veeam Backup & Replication™ and Veeam ONE™, and is your key to achieving Availability for the Always-On Enterprise™. 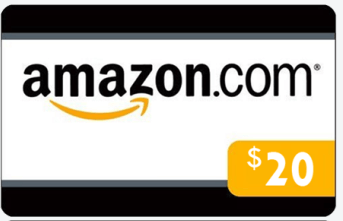 Fill in the form here get your FREE NFR key NOW! *Only for vExpert, VCP, VCAP, VCI, VCDX, VMUG Leader, VTEC, VMCE, MVP, MCSE, MCSA, MCT, Cisco Champion, PernixPro Member and others. Backup is more and more important. That’s why there are several company’s proving great products for this. I’ve tried the Linux, Windows and the NAS version. All the versions offer the same functionality. I installed the OVF version in my VMware environment and found that the installation was very straightforward and was done in minutes. 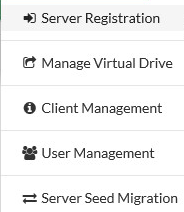 After logging on the first time just add your VMware server(s) or vCenter and off you go! Don’t forget to change the default password although! The interface is very to the point. Just make a https connection to port 4443 and login with your credentials. 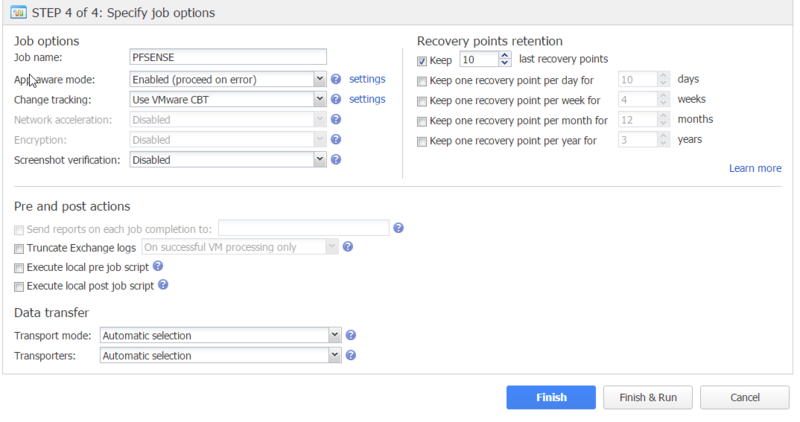 Choose Create and select the VMware vSphere backup job. Select the repository you wish to save your backup file to. You can choose not to select all the virtual machine hard drives. Click Finish & Run and your first back-up is done! I also installed the Synology Package on my NAS. Like as expected that was very ease. Just make sure all sources are trusted and install the package. After a few steps the package is installed and provides the same functionality as the (for example) Windows version. I tried the package on 2 different Synology models. A high end and entry level and it worked fine on both devices. I saw minor differences in performance. I think installing a product like this on a NAS provides great functionality. 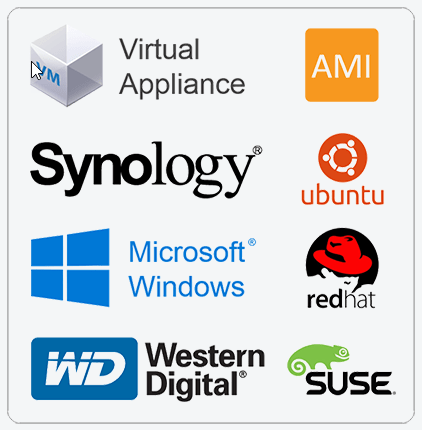 Many of my customers use a Synology NAS for their backup only. Now there is no Windows or Linux VM and hypervisor on location necessary. I had some technical questions (concering transport role) so I went to the Nakivo homepage. After a short chat session I was helped by a technical support engineer which friendly helped me. It seems that their support is quite adequate. I shall continuing test this product and shall share my support experiences. Install NAKIVO Backup & Replication and discover your infrastructure. Use the product, such as create and run at least one backup job. Send the support bundle to support@nakivo.com by December 30, 2016. Nakivo comes in 4 different versions : Pro Essentials ($199), Enterprise Essentials($299), Pro ($399) and Enterprise ($599). I think their pricing is very competitive. Check out more information about pricing here. I think Nakivo provides a very interesting product which lots of interesting functionality. I especially like the Synology NAS appliance because it makes the life of the system administrator easier. Also their pricing is very competitive. Their is room for improvement (as always) but the product seems very stabile. In my next review about nakivo I’m going to test the transport role, multi tenancy, self-service, Exchange log truncation, self service and their API interface. Lot’s to come! When you have experience with Nakivo also, please leave a reply. 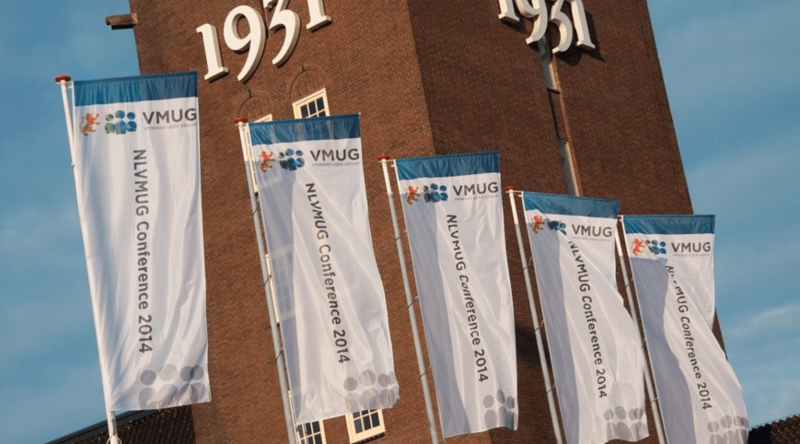 17 Maart is de NLVMUG UserCon 2016. Een aantal namen waren al bekend, maar nu is het officieel. Zelf ben ik er ook, dus misschien zie ik je daar! De NLVMUG UserCon 2016 zal plaatsvinden op donderdag 17 maart 2016. De NLVMUG UserCon 2016 is het grote jaarlijke usergroup evenement van de Nederlandse VMUG. Check hier voor meer informatie.